The National Park was officially opened in 2002 by Princess Anne, and consists of four stunning areas of Scotland, Loch Lomond, The Trossachs, Argyll Forest and the mountainous Breadalbane. The park covers an area of 720 square miles and has a boundary length of 220 miles. The park was the first national park in Scotland followed by the Cairngorms. 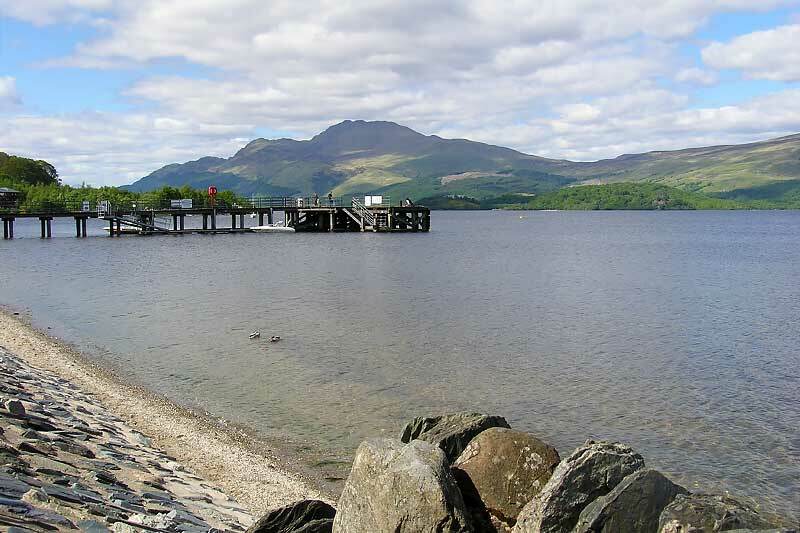 Straddled by the A82 on its West bank Loch Lomond is Britains largest freshwater lake (known as a Loch in Scotland) and is a stunning mass of sparkling highland water that crosses the Highland Boundary Fault line. The Loch was featured in the famous song The Bonnie Banks of Loch Lomond written in 1841 and played by many famous artist since. The park boasts 21 Munros (mountains over 3000 feet) and 19 Corbetts (mountains above 2500 feet to 3000 feet) and is a Mecca for mountaineers and hill walkers, if you prefer to keep your feet closer to sea level there are many rivers and smaller lochs to walk around. There are also 2 forest parks consisting of Argyll Forest and Queen Elizabeth Forest park, making Loch lomond and the Trossachs the ideal destination for the outdoor enthusiast. The Trossachs is often said to be the Highlands in miniature, and displays some of the best views in Scotland, with towering mountains and wild rivers scouring the landscape. You certainly feel the difference as you drive through the Trossachs that you are entering the Highlands, as the scenery changes from gentle green hills to craggy mountain tops. The highest mountain is Ben Lomond rising to 3192ft, and is accompanied by Ben Venue, and Ben A’an on the shores of Loch Katrine, all are very rewarding mountains to climb and very accessible, with stunning views on a clear day of all the National Park. Loch Lomond and the Trossachs are home to some of Scotland best wildlife, along the banks of the lochs and within forests and mountains you will see different varieties of Deer including the majestic Red Deer, and the more exotic Sika Deer have recently been spotted in the park. There are many birds in the park including Ospreys and if you are lucky you may even see a Capercaillie or a Black Grouse, and of course every children’s favourite the Red Squirrel can be seen in the many woods and forests. Otters can be seen in the Lochs and adjoining rivers and the park is a very important stronghold for the Otter within Europe. You will find many opportunities to see wildlife in the park and will find many organised wildlife spotting trips all around the park, more information can be found at the local tourist information centre. As well as the usual activities like Mountain climbing and walking, you will find the opportunity to find the sport you like to partake in, Golf is very popular in the area and there are many quality courses to find, the most popular is Loch Lomond Golf Course that hosts the Scottish Open. If you like Horse Riding then the National park is the place for you, there are many treks you can go on and will find more information at Visit Scotland. Cycling is also very popular off road and on road and there are many national routes you can enjoy, if you would like to sample what cycle routes the park offers visit the parks website for more information. With the park having an abundance of Lochs and Rivers there are many water sports you can try, from Canoeing, Fishing, Sailing and Water Skiing, if you prefer to just sit and watch there are many boat trips available particularly around Loch Lomond. The National Park is not short of places to stay with many hotels and guest houses in the area, some of the most popular towns and villages to look for are Luss, Crianlarich, Tyndrum, Tarbet, Aberfoyle to name a few and there are many holiday parks to also choose from. Camping is very popular in the park but please be responsible when wild camping and follow the Scottish Outdoor Access Code. Go Ape at Aberfoyle – The kids will never get bored at Go Ape and neither will the adults, from Zip Wire adrenaline rides, and tree top adventures to Segway riding, there is something for everyone. more info…. Dochart Falls, Killin – If you enjoy stunning scenery and the rushing sound of water then these falls are a must thing to see, located in Killin, don’t forget your camera. more info…. 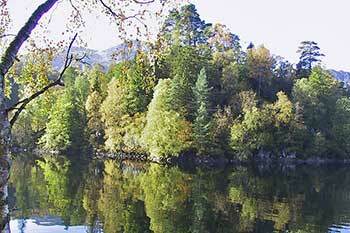 Loch Katrine – Such a special place to visit where you can cruise one of Scotland stunning Lochs. more info…. Luss Pier – Not just a Pier, but a lovely village to visit, a must do stop if you are travelling up the A82. more info….